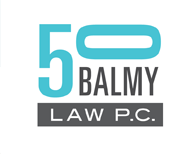 Freeing Greek gods to inspire gamers | 50 Balmy Law P.C. This firm successfully defended Sony Computer Entertainment America’s God of War video game in a high-stakes copyright infringement case. We obtained summary judgment for defendants SCEA and game creator David Jaffe, upholding the right of game developers and artists to draw freely from the inspiration of public domain Greek myth. Bissoon-Dath v. Sony Computer Entm’t Am., Inc., 694 F.Supp.2d 1071 (N.D. Cal. 2010) aff’d. Dath v. Sony Computer Entm’t Am., Inc., 653 F.3d 898 (9th Cir. 2011). Subsequently, a federal appeals court in New York relied on the God of War case to dismiss a similar lawsuit against the creators of the Percy Jackson Trilogy. The Second Circuit Court of Appeals cited the God of War case to say that the setting, characters, and classic stories of Greek myth are not copyrightable and can be used by any artist. DiTocco v. Riordan, 496 Fed. Appx. 126, 128 (2d. Cir. N.Y. 2012). The God of War case was cited by Nimmer on Copyright, the leading copyright law treatise, to support the proposition that common mood, setting, and pace between two works are not enough to show copyright infringement. 4 Nimmer on Copyright at 13.03. An entertaining footnote to the case is the battle of expert witnesses: One side’s expert was Stanford’s top Classics/Greek myth professor; the other’s expert was U.C. Berkeley’s top Classics/Greek myth professor. This victory was covered by industry publications like Hollywood Reporter, the IGN Games Newsletter, Escapist Magazine, Computer and Video Game News, Gamesindustry.biz, PlayStation Lifestyle, and Kotaku (God of War Tears Head off Copyright Claims), among others.